After farewell hugs with Jane-Ann at the curb of the terminal, we conferred briefly and decided we weren't quite ready to leave our adventures behind. I suggested that we cross the river into Indiana and visit the site of George Roger Clark's home on the banks of the Ohio. Annis suggested that we cross the river on the George Rogers Clark Bridge, so we maneuvered our route through downtown in order to do that. The fossil beds in the Ohio River are exposed during times when the water levels are low. These are described as the "largest naturally exposed Devonian fossil beds in the world." Look closely at nearly any rock at the Falls, and you'll find interesting discoveries. While you are not allowed to collect physical samples, photos are always a nice keepsake. An online identification guide will help you interpret the images. Mary and H.S. 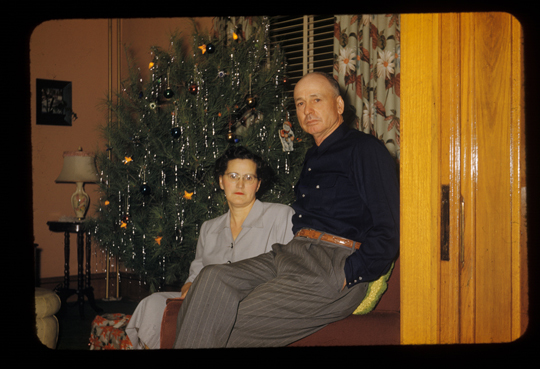 Clark, my grandparents. 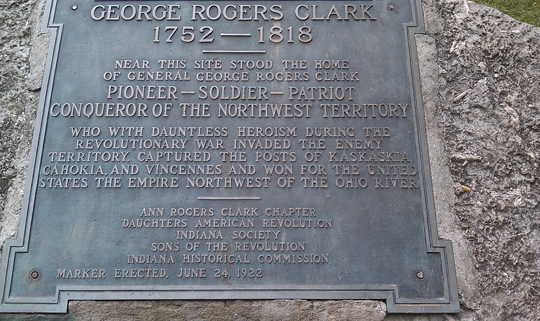 Grandpa always said "We're kin to those Clarks," speaking of General George Rogers Clark and his brother William Clark. At the time, it didn't make the impression on me that it should have. We paused for a light lunch at one of the riverfront restaurants in Jeffersonville and then drove back to the park where a replica log cabin sits on the site where General George Rogers Clark lived in a cabin he built in 1803. He lived there for six years, when he moved across the river to the home of his sister at Locust Grove. He remained at Locust Grove for nine years until he died in 1818. From the front steps of his little cabin on the north side of the river, he had a magnificent view of a wide bend in the Ohio River. The State of Virginia and Congress dealt Gen. Clark a nasty blow when they refused to acknowledge the receipts and vouchers he submitted for the expenses of the military campaign to capture the British forts at Vincennes and Kaskaskia. He had borrowed money to finance the operation which forced the British to cede the Old Northwest territory in the 1783 Treaty of Paris. The present-day states of Ohio, Indiana, Illinois, Michigan and Wisconsin comprise the territory that General Clark secured. However, Virginia, whose government had authorized Clark's action, claimed they never received the paperwork, and he was hounded by creditors for much of his life. Cousin George left his footprints all over this region! 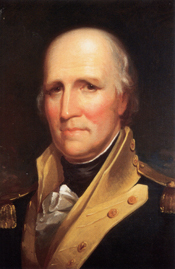 General Clark and others in his army had received grants of land from the Illinois Grant, but Clark was forced to divest himself of most of his holdings, transferring some of the land to relatives, including his cousin William Clark (surveyor of the Illinos Grant), who in turn transferred some of the land to my 4x great-grandfather Benjamin Wilson Clark. 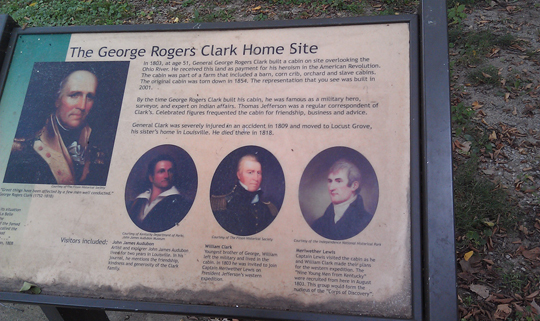 General G. R. Clark tranferred a portion of lot 31 (shown in yellow) to his cousin, William Clark, who in turn willed it to his brother Benjamin Wilson Clark. B.W. later sold the land to his brother Marston Green Clark. It is my will and desire, and I do hereby give to my loving brother, Benj. 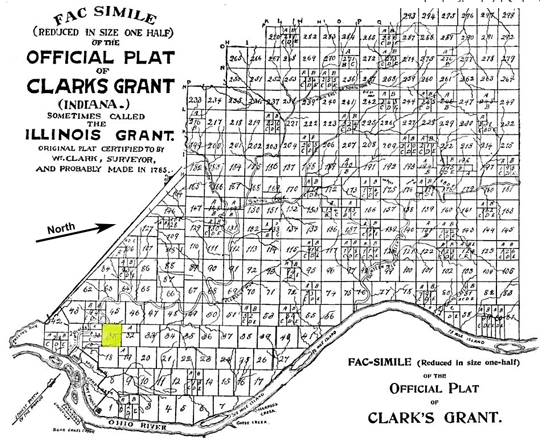 Wilson Clark, one tract containing four hundred acres in the Illinois Grant, it being part of number thirty-one, to him, his heirs and assigns. George's little cabin on the north banks of the Ohio was host to several notable men in the nation's history. This replica cabin was placed on the site in 2001. The original cabin which George built was demolished in 1854. Roberta, in front of a giant sunflower and a tobacco plant, in the garden at George's cabin site. In 1803, George's younger brother William joined up with Meriwether Lewis at George's little cabin on the banks of the Ohio, and the two captains set off on their expedition across the continent. Not far from the Falls of the Ohio Interpretive Center are two bronze figures of Lewis and Clark, inscribed on the base with a quotation that reads, "When they shook hands, the Lewis and Clark Expedition began." 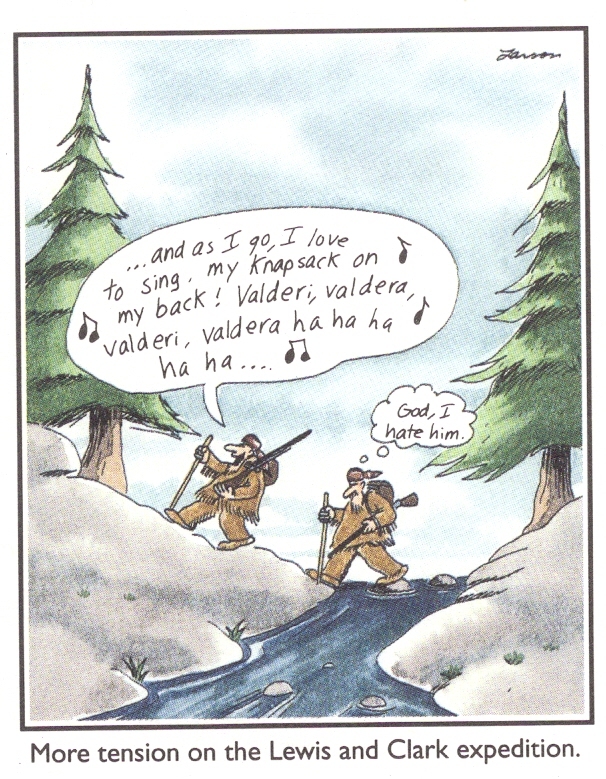 Lewis and Clark - after preparations in the East, Lewis rendezvoused with Clark at George's cabin on the banks of the Ohio, and from there, they set off together on their westward journey. After reading that, Sara said, "Well, then, when we shake hands, our Kentucky expedition will end." So we shook hands, got in the car and drove back to Illinois. P.S. Thank you, Mom & Dad and Grandma Clark, for taking me to Kentucky all those years ago and starting me on the path of getting to know so many wonderful cousins!